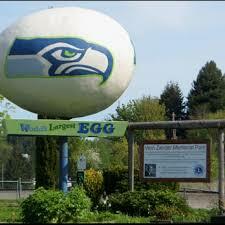 Know where the World’s Largest Egg Sculpture is????? Did you guess Winlock, Washington, in Lewis County? 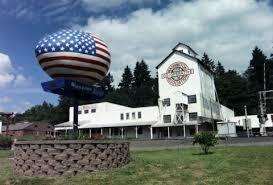 In the 1920s Lewis County was the second largest egg producer in the U.S. So they have this wonderful statue, which they often repaint as the mood strikes, to celebrate their “eggy” history. They celebrate Egg Day each year with a parade and free Egg salad sandwiches! Toledo, WA has Cheese Days with a festival, parade and free Cheese sandwiches!